“To achieve great things, two things are needed; a plan and not quite enough time”. During the five years of operation of the new company, the leading producer of paper hygienic products in Poland made the greatest leap in the history of development of the production facility in Klucze. In the last 20 years, the paper production plant in Klucze and Velvet brand went through a number of ownership changes, becoming part of International Paper (1996–2003) and Kimberly-Clark (2003–13). 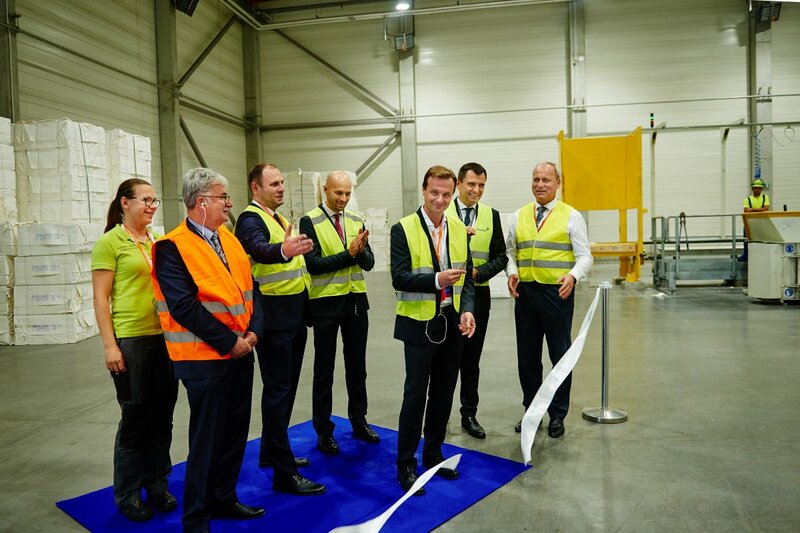 The investment made at the time expanded the manufacturing equipment, adding modern processing lines, and contributed directly to the acquisition of the status of one of the most important facilities producing and processing tissue in Central Europe. Since 2013, in the wake of a management buyout, the company has operated under the name of Velvet Care. It was performed by four managers with joint experience of 60 years. They started with a personnel of 280 experienced staff (with 17 years of experience in the company on average). The facility offered five processing lines and a paper machine as well as a warehouse. The total floor space offered by the buildings was 50,000 m², and own brand, Velvet, was the market leader with turnover of PLN 217 million. The shareholders acquired financing from a partner, Avalon MBO II investment fund, a company managed by Kimberly-Clark (US). The first year after the buyout was devoted to the switch the business model from operating as a part of global corporation to becoming an independent company. This called for the development of new divisions: logistics, planning, strategic purchases, department, exports, and own brands. The brand Velvet was also relaunched. Moreover, the time was devoted to strategy and planning. Further development of the new company was broken into three stages. In the first stage, the company focused on the reinforcement of Velvet brand in Poland and building their position on export markets, together with the acquisition of contracts for own brands. Investments into equipment were also made. Altogether five new production lines were installed in Klucze, doubling the original processing capacity. The purpose of activity in the two following years was to attain maximum efficiency in logistics. That was the time when the state-of-the-art warehouse for finished products to the scale of Velvet Care business was built. It covers 21 000 m2, can accommodate 38,000 pallets, and offers loading of 16 trucks simultaneously. In June 2016 the plant in Klucze became a part of the Kraków special economic zone (sez), following a painstaking procedure required to extend the sez over private land. The company received a permit on the ground of an investment worth PLN 160 million and setting up 15 new jobs. Investment support thus assured provided an additional impulse for the company’s development and facilitated the initiation of the third, strategic phase. In a 200-million-PLN project, the company invested into the cutting-edge, super-efficient and energy-saving paper machine, and built a warehouse for tissue. Five years of strenuous work is crowned with a major success: the company has doubled its turnover and the production potential of the Klucze facility. 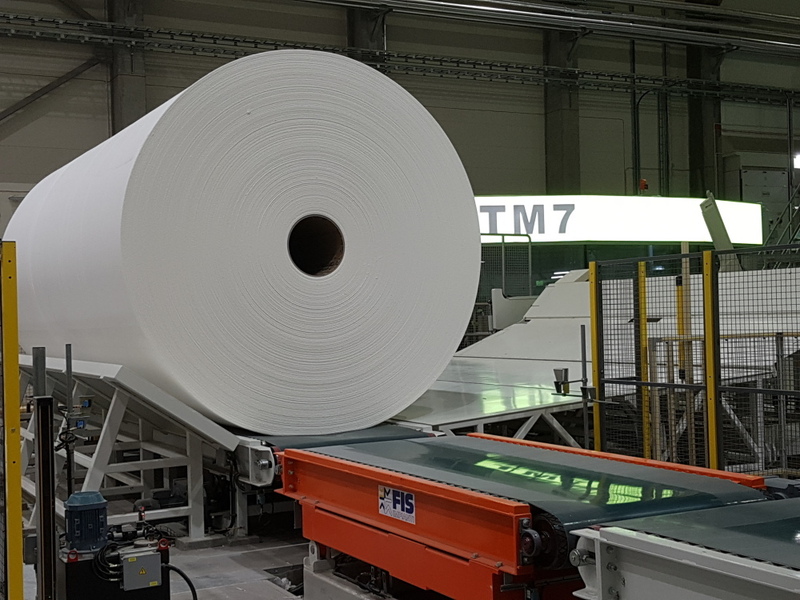 Currently there are 12 production lines operating in the Klucze plant, with the powerful paper machine that offers daily processing capacity of 103 tons (compared to 47 tons previously) and production capacity of 104 tons (previously 33 tons). The floor area of the building was increased to over 64,000 m². Velvet as a brand has retained the position of market leader and nearly doubled its turnover, reaching PLN 500 million, with a half of that value being the share of own brands (increased from the previous 5%). The company employs the staff of 600, with average experience in the company of 11 years. The future of the company lies in successive investments, with the key partner being an investment fund experienced in the paper sector. The total value of further investments in the coming two or three years is estimated at roughly PLN 200 million.